Welcome to the 70th year of The Magazine of Fantasy & Science Fiction. Our November/December 2018 issue carries on the tradition of excellence with eleven new stories and a poem, plus all our regular columns and features. Most of our electronic and paper subscribers have already received their issues, but if you’re looking for a copy you can find us in most Barnes & Noble stores, as well as many local independent booksellers. You can also order a single copy from our website or buy an electronic edition from Amazon, AmazonUK, and — now, available worldwide and in every electronic format — through Weightless Books. This month’s cover illustrates “The Iconoclasma” by Hanuš Seiner. The artwork is by the award-winning artist Alan M. Clark. Our cover story this month is something special. The Czech Republic has a strong tradition of science fiction, including the writer Karel Čapek (1890-1938), who invented the word robot for his 1920 play “R.U.R.”, and Josef Nesvadba (1926-2005), who had several stories published in F&SF during the 1960s. Hanuš Seiner and his translator Julie Novakova are two of the latest writers to continue this tradition. Seiner is a professor of applied physics at the Czech Academy of Sciences in Prague. His fiction frequently mixes hard sf and space opera. American readers may be more familiar with the work of Novakova, an award-winning Czech novelist and translator, whose English language stories have been published in Asimov’s, Analog, and other magazines. “The Iconoclasma” originally appeared in the April 2013 issue of the excellent Czech science fiction and fantasy magazine XB-1. We are excited to share it now with you. Charles de Lint recommends some Books to Look For by Martha Wells, Charlaine Harris, Bryan Fields, and Jane Yolen, plus an anthology edited by Irene Gallo and a new Tolkien biography by Catherine McIlwaine. In his Books column, James Sallis offers indepth reviews of Astounding: John W. Campbell, Isaac Asimov, Robert Heinlein, L. Ron Hubbard, and the Golden Age of Science Fiction, by Alec Nevala-Lee and Figures Unseen: Selected Stories by Steve Rasnic Tem. And for our monthly Curiosities column, rediscovering lost writers and books, David Langford explores The Supernatural in Modern English Fiction by Dorothy Scarborough (1917). In his latest film column, David J. Skal reviews “How to Talk to Girls at Parties,” based on the short story by Neil Gaiman that appeared in F&SF. In our science column, Jerry Oltion offers up a selection of “Space Drives: Real and Imaginary.” We have the winners of Competition #96, “Crime Blotter.” And the print version of the magazine also offers up cartoons by Nick Downes and Danny Shanahan. JLH: It’s a modern day Weird West story that has oodles of violence, some creative swearing, an awesome protagonist, a solid backstory, and some lighthearted giggles amidst the eviscerations. We may also have inadvertently included some salient and serious subtexts along the way, for which we are terribly sorry, I expect. CK: Shooting Iron is weird and unrealistic and has little interest in the motivations of the exotic antagonists, focusing instead on the internalities of the protagonist and even then, she’s drawn in broad strokes (except where one is smart enough to peek through the cracks and go), how dare we indeed. JLH: The Netflix IRON FIST series. There was some dismay that they’d decided to stick with Danny Rand being a white chap. Somebody online said, “Can you imagine if it was an Asian character going to America to learn and be best at some sort of mystical occidental martial art?” Saying things like that within earshot of writers is a fatal mistake. “Shooting Iron” displays a very detailed sense of human anatomy; can you tell us about any of the research you may have done for “Shooting Iron,” on this subject or any other? JLH: I actually bought a copy of Gray’s Anatomy to get my “bits” bits right. I suspect Cass went out and killed some people for research, but for heaven’s sake don’t tell her I said that. JLH: From my perspective, it was all fun. I honestly don’t recall any difficult bits. It flowed very easily. All those Wild West memes melting into folklore and a little body horror, it all melded very organically. CK: Time constraints, honestly. The rest was lovely, but Jesus, I end up working on far too many things sometimes. JLH: I’ve collaborated on the writing for game projects in the past, but that’s not unusual for the games industry. This is the first time I’ve collaborated on an original piece of prose, though. It went very smoothly, I think. We hashed out the plot, then I did a first pass as I had less on my plate at the time. When it was done, I passed it over and we bounced it back and forth for a few iterations until we were both happy. I remember sort of semi-pastiching Cass’ style in places to make our work fit together better. Very wisely, she tore much of the faux-Khawness out on her passes and replaced it with the real deal. It worked as a practice, though, as it went a long way to erasing the seams between our styles. CK: This isn’t my first collaboration. I did a piece with Matt Dovey before this, which is unfortunately back in the submissions circuit because the damned magazine folded. But this is my first prose-based collaboration of this scale, and it was interesting. Going through Jonathan’s first pass was almost disorienting; it’s like reading your own edits, except not, and you’re not editing to fit someone else’s voice, you’re working to make it match your own. JLH: Oh, that is a long list. I’ll endeavour to keep it brief by skipping lots of names. Conan Doyle, Vernon Lee, Wharton, James (M.R., not Henry), Sayers, Lovecraft, Vance, McBain, Moorcock, Hulke, Sladek, Lem, and any number of more current writers including, she’ll doubtless side-eye me for saying, Cassandra. It’s true, though; I reread a pile of her work before doing my pass on “Shooting Iron” specifically to influence my own style and make it more compatible with hers. That sort of deconstructive read emphasised to me the craft that underpins her writing and encouraged me to be less conservative in some of my descriptive work. My other influences include, among others, Lavie Tidhar, Cherie Priest, Brooke Bolander, Joe Hill, and Rin Chupeco. JLH: A couple of game projects, one of which is NDAed at the moment, but the other is an adventure game called “Land of Hope & Gorey,” about how an attempt to make up for a shortfall in casual labour post-Brexit by raising the dead as workers accidentally triggers a very British zombie apocalypse. I’m also writing a non-SFF historical comedy novel about a borderline competent Victorian criminal mastermind. CK: Finishing my Rupert Wong novel right now, which keeps getting waylaid by the fact I’ve been wrung of all life by recent work-related events. I just wrapped up things at InXile Entertainment, and am off to a certain very large company in Montreal. I’m also fretting at the corners of Project Wight and working on something divinely tentacular for Sunless Skies. “Shooting Iron” appears in the September/October 2018 issue of F&SF. Learn more about Cassandra Khaw (http://www.cassandrakhaw.net/index.php) and Jonathan L. Howard (http://www.jonathanlhoward.com/index.html) at their websites. It’s the story of a woman’s religious journey. Grace starts with the simple faith of a child, based on stories and images in a picture book. As she matures she becomes aware of theological complexities and church politics and other gritty realities. Yet she manages to retain some of her childlike sense of awe. On the craft level, I had been writing one-scene stories, compressed in time, space, number of characters. As a challenge to myself I decided to write about a single character, showing brief scenes of her long complicated life. A sequence of snapshots that nevertheless resulted in a satisfying character arc. I’m not sure I’ll do it again, but I’m pleased that it worked this time. On the world-building level, there are many aspects of life in the Mainline civilization that I’ve devised but haven’t revealed yet. This gave me a chance to show a religion of the future. Was “Emissaries from the Skirts of Heaven” personal to you in any way? If so, how? I tend to get involved with my characters. It’s silly, since they don’t really exist, but I worry about them. Did you research the history of any real world religions to write this story? I like making things up. What was the most difficult aspect of writing “Emissaries from the Skirts of Heaven,” and what was the most fun? Skipping briskly through her life was a challenge, because what happened in the gaps between scenes had to be revealed indirectly. Overall the whole thing was fun. I enjoyed mentioning aspects of this future history that I’ll expound on later. The ChoRen, the Prophet, paxoforming… These are not one-off references. I admire writers who can tell stories that stand alone but, taken collectively, add up to a more complex whole. A Visit from the Goon Squad by Jennifer Egan. The Tsar of Love and Techno by Anthony Marra. I also read a lot of poetry. Currently besotted with Jane Hirschfield. Zephyr is a big planet with a complex society. In order to explore it from different perspectives I’m developing new characters. Now I’m focusing on a homicide inspector, a woman who has a background in philosophy. Charlie just bought one of the stories starring her. Look for it next spring. “Emissaries from the Skirts of Heaven” appears in the September/October 2018 issue of F&SF. “The Memorybox Vultures” is set in the very near-future, in which a person’s infomorphic identity still survives, in a way, through social media. Donna Lane is an employee of Epitaph Incorporated and is a handler of these so-called quasint personalities. The story opens as she goes to “meet” with one of them to assist with an unusual, post-death request. Several years ago, a friend of mine died unexpectedly and far too young. In the years since, I would notice how his social media wall was maintained: people dropping by to share memories, to wish him a happy birthday, to post pictures of times spent together. It was very moving, and started me wondering how this might advance in the future. It’s like a modern take on the necropolis of ancient times: the bereaved would visit literal cities of the dead to bring food and offerings. People do that now at cemeteries. The Internet allows for a much bigger memorial wall, sure, but it also grants something else: the ability to future-post messages, as well as tagging people, which made me wonder if a person’s identity can persist beyond death. I started writing the story longhand, in a notebook in a bar on a rainy afternoon, and it coalesced immediately: Donna Lane, her dead clients, and the mystery that pulls everyone into its maelstrom. With this story, the intent was to explore grief, addiction, digital identity, technological probability, and how social media might evolve. Especially the way society accommodates this new reality: there’s a scene in a cemetery where the living visit with (and interact with) the deceased, and it occurs to me that this fills a need not met by today’s funerals. If we’re lucky today, we get people sharing snippets of life with the deceased and personalized readings; more commonly, I’ve seen stale send-offs that barely speak to the individual life that’s perished. When you consider that the written word is itself a way of speaking across time and death, and how experiments with AI counselors today manage to convince people of their “flesh and blood” reality, it seems to me an inevitable development. Throw in a touch of augmented reality, and you’ve got the recipe for the world in this story. I was drawn to the noir side of speculative fiction from a very young age: the dark carnivals of Bradbury and perspective-changing nightmares of Wells. I read my share of adventurous science fiction, sure, and devoured mythology by the continent; all those Grendels and illustrated men steered my own literary interests straight into the gritty alleys of cyberpunk, and then into the fertile territory slashed open by today’s genre masters. I also adore hardboiled mysteries, and “The Memorybox Vultures” is painted with those colors; driving rainstorms, soupy fog, rich shadows, luminous candles. It’s a murder mystery at its heart, filmed with Dutch angles and in a labyrinth of dangerous people. There’s a hard-bitten detective navigating the technological borderlands between the living and dead. “The Memorybox Vultures” appears in the September/October 2018 issue of F&SF. To me it’s a story about promises–how they cannot be always kept. I wish I knew that some promises are neglected without any ill intent, or even must be abandoned sometimes, when I was much younger; neglected/abandoned promises bothered me a lot back when my world was much smaller. This story is also one of those few ones that I thought of having trunked but that made it out there eventually. I had a lot of trouble with its structure and flow. It is what it is thanks to the very helpful input from your editor-in-chief Charlie-san. And oh, this is my first novelette! One of my hobbies is polishing raw gemstones. I’ve polished opal, apatite, fluorite, calcite, etc…things soft enough for my unskilled hands. While I was polishing a few kinds of stones at one go, I thought opal powder smelled different than other stones’. I wondered whether the opal powder could do something to me if I inhaled enough of it. 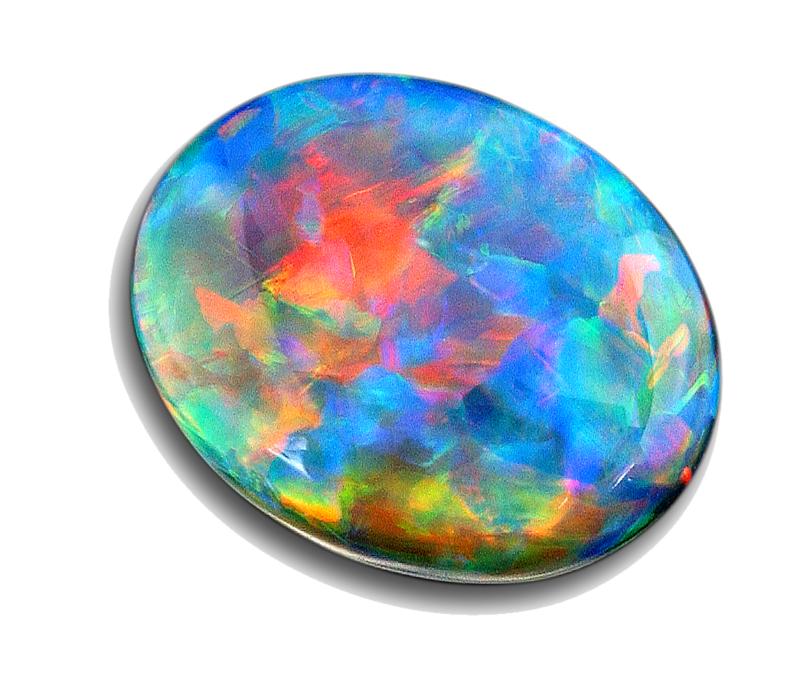 Was “Taste of Opal” personal to you in any way? If so, how? I like farmhouse complexes. Especially the annex. My parents aren’t farmers but I had a few friends whose parents are (or were), who let me play in/around their annex building. That strange structure of building felt kind of otherworldly to me, I think, as the annex isn’t properly a house, had many unfamiliar (to me) things stored in it, but children could explore it without fear. I like recalling those pseudo adventures, and it’s a shame my protagonist’s memory of the annex isn’t entirely pleasant. I didn’t like my place in the world as I grew up, and now I’m finally starting to come to terms with it, just beginning maybe, and placing myself in a different world (albeit imaginary one) helped me in the process. Also, just like with many of my other hobbies which are mostly crafts, I enjoy the feeling of something being built under my fingers. Though I wish writing process can be more visible, more…corporeal? That there’s a way of actually seeing that something is being created, other than just obsessively clicking Word Count! So many, and so many more I don’t even remember… One is Takashi Yanase here, who was the creator of Anpanman series, among many others. He was the editor of the magazine I got published in for the first time ever, and if he hadn’t established magazine that accepted very short fiction, I may not be here now. I also admired the way he kept on creating, no matter what. I still think about what he said several months before his death, that he’d come to such an interesting place in the world and he didn’t want to leave it now. I wonder if I can keep on writing like that. I’m a terrible reader and always get things wrong out of books/stories I read, so how can I ask other readers for anything at all!? Oh, but I like that in the end, there is no real villain in this story. I hope someone enjoys that, too. “Taste of Opal” appears in the September/October 2018 issue of F&SF.